Recent rumours had it that Michael Fassbender had walked away from Assassin’s Creed’s Hollywood adaptation. But the series has a history of reluctant heroes, and Fassbender now seems wholly committed to the cause. Fassbender will meet with the film’s writing team when he next returns to Europe. Fassbender wasn’t familiar with the series until he received his crash course from Ubisoft, but now enthuses about DNA memory – a “very feasible scientific theory”. Here’s the thing, Fass: none of us think the Animus is prescient sci-fi – it’s just a silly dentist’s chair that lets us be pirates. And you’ll need to drop all this enthusiasm to get into character as Altair or Connor. Unless, of course, you’re playing Edward Kenway. 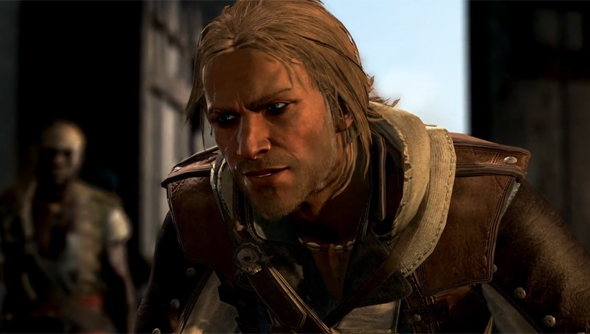 Please be playing Edward Kenway. Fassbender has already worked with attached director Justin Kurzel on an as-yet-unreleased version of Macbeth. Assassin’s Creed: Da Movie will be out in 2015, or just as soon as somebody writes it. How high are your hopes for it, on a scale of Havana Cathedral to Notre Dame? Ubisoft announced a return to piracy inAssassin’s Creed: Roguejust the other day.